I have written about which shoes are best to wear in Europe before. I wrote about the best summer shoes and also about winter shoes to wear in Europe, both of which I will re-link at the bottom of this post. A series of events happened last week that made me decide to write a post about the best pair of sandals I have ever worn in Europe. I wore the same pair of sandals everyday in Europe last summer on my May/June Glam Italia Tours, I wore them half the time in Paris in September (I wore these Adidas sneakers the days I didn’t wear my sandals), and then I wore them every day for a month this past June on this year’s Glam Italia Tours. 2. Then when I was looking through my photos from Venice trying to find something to put in my Don’t Be A Tourist In Venice post I kept noticing my sandals in every photo that showed my feet. 3. Finally, I was scrolling through the notes on my phone and found a page where I had bee keeping a total of the steps and the flights of stairs I was doing each day in Italy. I was pretty wowed at just how many miles I walk on my tours, and more wowed that these shoes not only didn’t fall apart, but are still going strong! Why Do I Love This Sandal? *It is unbelievably comfortable. If you have been to Europe before than you already know that you spend your days walking and walking, so you need a good cushy sole to not only protect your foot but also to cushion the pressure on your lower back. Also you are walking on cobble-stoned streets and uneven surfaces, both of which put extra hardship on both your feet and your shoes. *It takes zero breaking in – the leather is super soft but still good and strong. No blisters, no rubbing, no hurting your feet, yet at the same time offering really great support. You can put the Sofft Mirabelle on straight out of the box and walk all day long with no problems at all. * It goes with everything. My rule is only 3 pairs of shoes can go with me on a trip, which means I need shoes and sandals that can work with everything I am going to wear. I have the Mirabelle in the color pictured above which is called Luggage. *It is well made. This sandal is really well made. Even with the non-stop walking up and down hills and the average of 25,000 steps per day, the sole hasn’t pulled apart, the sandal hasn’t ripped and it hasn’t lost its shape. So How Many Miles Have My Sofft Mirabelles Done? This blew my mind! 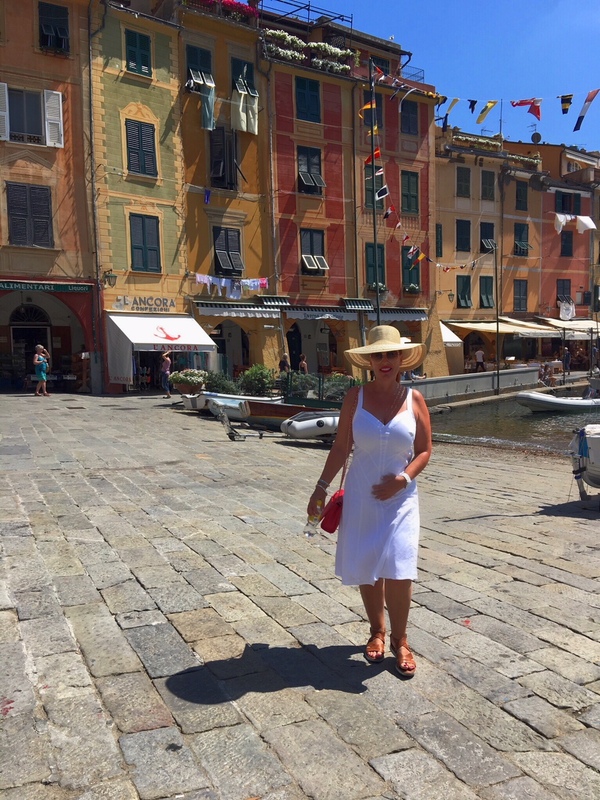 In 2017 my Sofft Mirabelle sandals did 3 Glam Italia Tours and two Glam Paris Tours. In Paris I wore them half the time on one tour and every day on the other. In 2018 they have done two Glam Italia Tours. I also wear them at home in Phoenix on photoshoots, commercials, ad campaigns, music videos and other long days when I am shooting in studios with concrete floors. I haven’t kept track of the steps I do here in Phoenix each day but in Europe I am always keeping an eye on it. 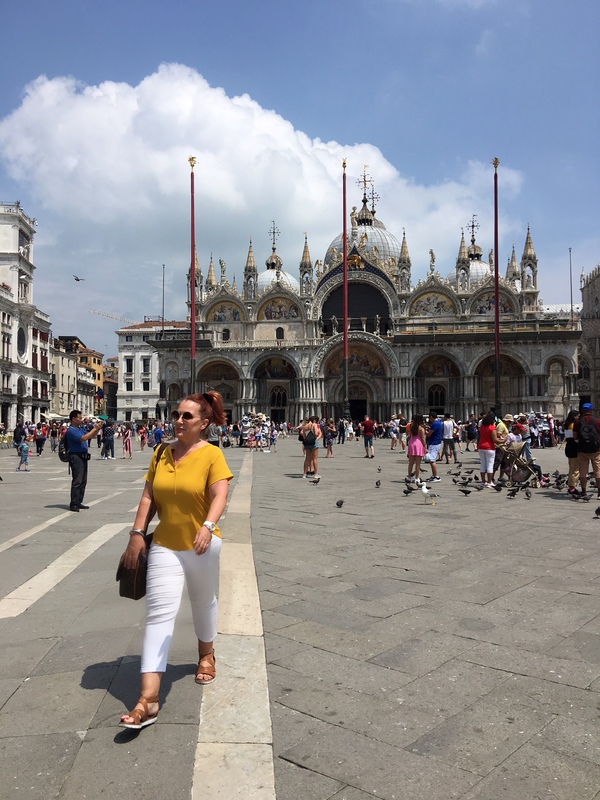 In June 2018 on my Glam Italia Tours I walked 158 miles total. So that is about 79 miles per tour, give or take. (I have 2 days in between each tour, arrive 2 days before the tours start and stay on for a few days after they are over. I walk and walk all day long on these days, checking out new places and seeing new things). Working with that average and adding in 3 Glam Italia Tours in 2017, that’s another 237 miles in Italy alone, without factoring in my Paris tours. Just adding the Italy numbers that’s 395 miles!!! Put into perspective the distance from Phoenix to Los Angeles is 360 miles. How many pairs of shoes do you own that could walk from Phoenix to L.A. and still keep going strong?? How Do You Keep The Soles White? One of my friends turned me onto this cool trick. When soles are looking scuffed and dirty you can clean them back to nearly new by using a little bit of bathroom cleaner or Mr Clean and a cloth or rag. If you have a Mr Clean Magic Eraser handy that works brilliantly too. I don’t clean mine while I’m away, but when I get home they really need it. I wish I knew someone at Sofft Shoes to show this to – they should be sponsoring my tours! Or something. Maybe they should be sending me free shoes – none of which is happening by the way. But I do think that at more than 395 miles these sandals probably are the best value for money I have ever had. Sofftshoe.com offers free shipping on all orders, easy returns, and free exchanges. Chances are you won’t be putting your sandals through the hard work I put mine through, but regardless, these are a great buy! Traveling To Europe? You Need To Know About This Scam! I have heard multiple times already this year about a new-ish scam that is running in Italy and across Europe. I haven’t encountered this one yet myself but it sounds like it is going to be everywhere this summer. 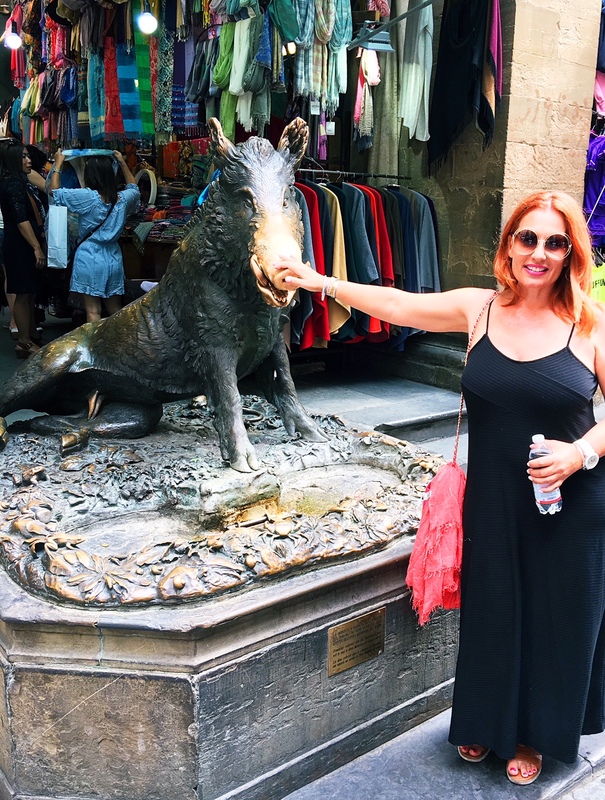 Originally I planned to send this a an email to the travelers on my upcoming Glam Italia Tours, but as so many of you will also be heading to Europe this summer I want you to be aware too. Any place that has lots of tourists is going to have its share of scammers and petty thieves hoping to separate them from their valuables. The following are three scams you need to be watching out for, number three is the new one. Just as we have homeless people panhandling here in the USA, in Europe you will see beggars, especially around big tourist attractions. In Italy you will see them around the big churches and cathedrals, in Paris you see many more, and they seem to be on the streets in the busy areas. I will happily buy food for the hungry, and do it all the time, but when it comes to beggars in Europe I generally keep my distance. I am there often enough to see the same faces working the same places, year in and year out. You will see gypsy women on their knees in the gutter, crying and begging for money. Look a little closer and you will see they’re not thin or starving, in fact plenty of them are chunkier than I am! Often (but not always) they work in teams. Their partners are watching from across the street or somewhere nearby to see where you pull your money from, and what valuables are on your wrists and fingers. A few minutes later they bump into you or distract you, and before you know it your wallet is gone, your watch is gone or whatever they wanted is gone. As much as you want to be compassionate, don’t be. This one has been happening in Paris forever, but last year while there I finally was able to see it in action. I let it keep going for ages just because I was so entertained, but I seriously advise you to walk away and not engage should this happen to you. The way it works is the scammer will pretend to find a ring on the ground not far from you. They will politely ask if you dropped it or if it is yours. As they look at it they will tell you it has an inscription, normally something to do with how many carats gold it is. If you let them keep talking they will tell you they don’t have papers to be in the country so can’t turn it in or sell it, and then they try to convince you to buy it from them. Remember if you let these people get physically close to you chances are they will rob you without you being even slightly aware of what is going on. And of course, do not even think about buying the ring! It is a fake, and on top of that you are showing them where your money is. 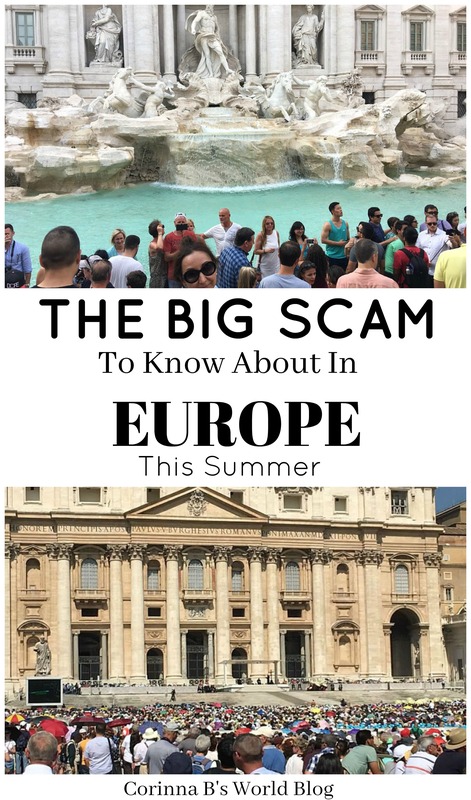 I haven’t been aware of this scam in Italy, but then again after a lifetime of going back and forth to Paris, last summer was the first time I actually saw it there, so who knows? RELATED POST: SHOULD YOU BUY TRAVEL INSURANCE? This one is happening in Italy at the moment. I have seen it discussed on some of the Facebook groups and travel forums I belong to several times already this year. So far travelers have been in Florence and in Milan when this has happened, but it no doubt happens elsewhere too. A man or woman stops you and asks you the time or for directions, (or for whatever they can get you to stop for) then they grab your wrist and tie a bracelet onto it. As soon as it is tied they start demanding money for it. Travelers have reported being followed down the street, and one reported being threatened. Aparently the scammers are quite aggressive. Should this happen to you, yell at the top of your voice. They figure that you will quietly acquiesce and they will get away with it. If you make a lot of noise other people will stop and any police in the area will come (if they hear you). The last thing a scammer wants is the attention of a crowd or of the police, so make as much noise as you can. While you are traveling you need to be aware of pickpockets and scammers. If someone approaches you, don’t stop to speak to them. Scammers are banking on you being naïve, gullible and unaware. They plan on you thinking it would be rude not to stop and acknowledge them. 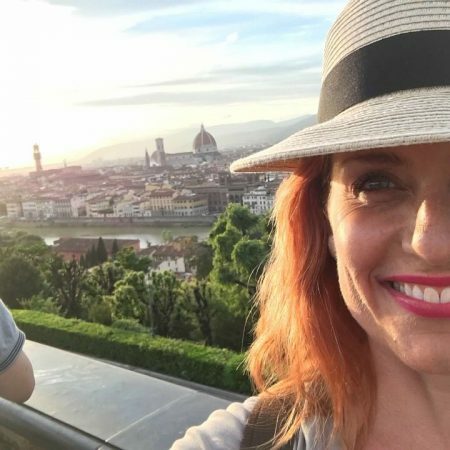 The ladies traveling with me are pretty much safe, because I think, scammers can smell the fierceness of a firey redhead coming their way and won’t waste their time with the significant trouble on the immediate horizon (me) when there are plenty of unsuspecting tourists to pick on. *Keep your handbag closed at all times. If your bag has a flap closure wear the flap side against your body. *Always keep your hand on your bag. *Guys, don’t put your wallet in your back pocket. *Don’t stop and talk to people who approach you– if someone needs to know the time or needs directions there are plenty of other people they can ask. An Italian is not going to stop a tourist – they will ask another Italian. If someone is approaching you, trying to get your attention or trying to talk to you, ignore them and keep moving. The best way to avoid pickpockets, gypsies et al is to be aware. Know they are out there but that they are looking for easy pickings. When you look like you are aware of your surroundings and your belongings you are less enticing. Don’t hang your handbag on your chair, don’t put your bag or your camera down and turn your back on them, don’t flash money around. Before you let yourself get panicked, remember that here in the USA the bad guys have guns. In Italy and across Europe they don’t. I love wandering aimlessly through the Latin Quarter. I love breakfast in Montmartre. I love picnics and drinking wine sitting by the Seine at night. I love exploring the arrondissements far from the tourist grind. 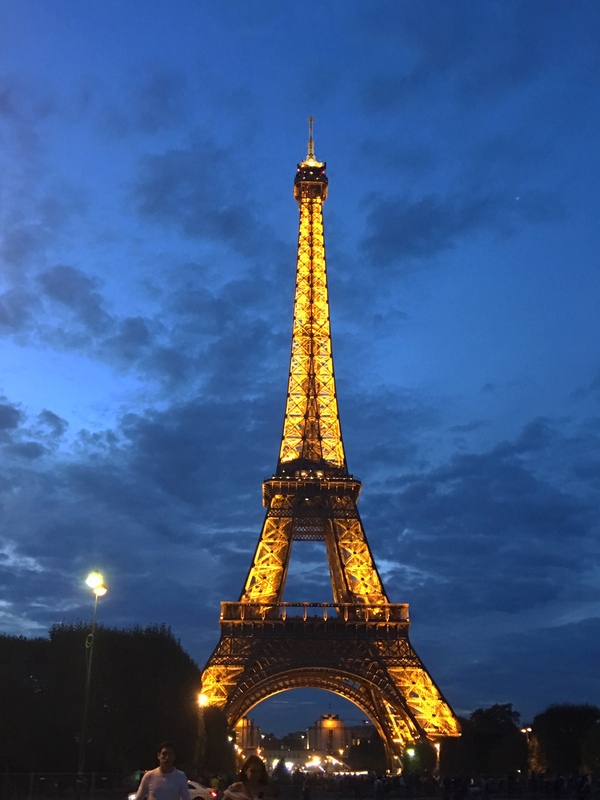 Paris is so much more than the Eiffel Tower and the Louvre, Notre Dame, the Champs Elysees and the Arc de Triomphe, although I do love them all. Paris is a city that needs to be experienced. Rather than racing headfirst on a sprint through the monuments, slow down, stroll and breathe in this glorious city. 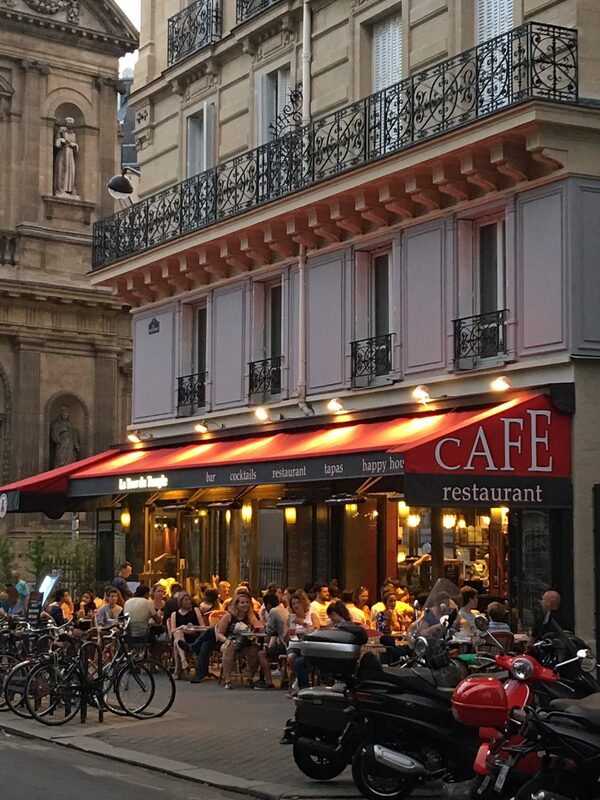 Instead of waiting in line for 3 or 4 hours to go up the Eiffel Tower or walking through the human crush on the Champs Elysees, both of which are time vampires and will burn valuable hours of your time in Paris, leave the tourist trail and try some of these options for a completely different and totally fabulous experiences in Paris. Wander down any street that sits away from the tourist zones so that you can have a more authentic experience. 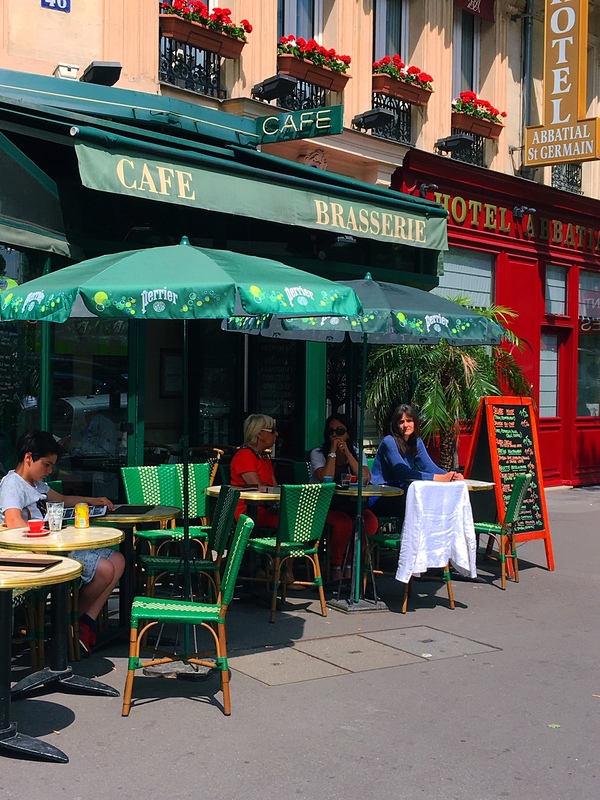 Look for a café with no tourists, but with locals sitting there instead (they are literally on every street, so not hard to find), sit outside and enjoy a Parisian breakfast. 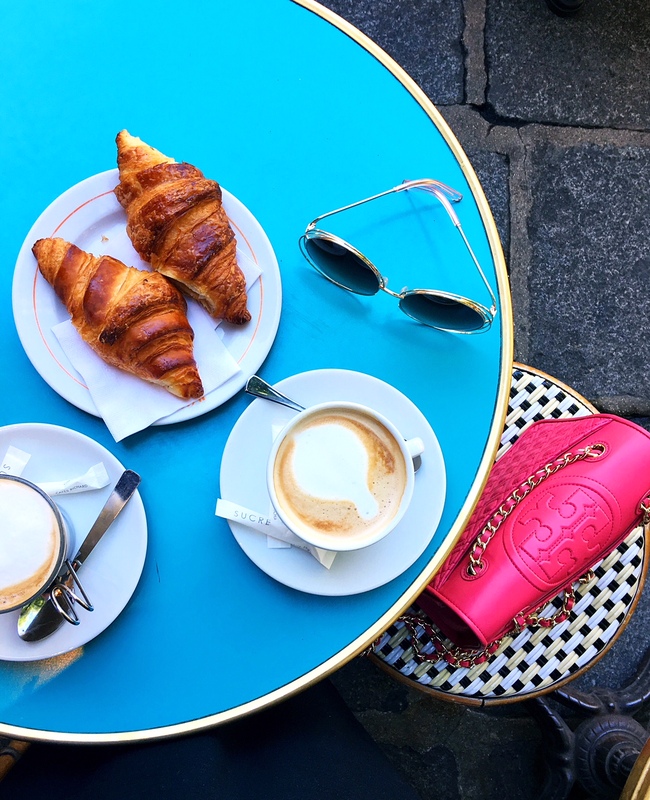 Order a café au lait and a brioche or a croissant, and watch the world go by or read a book or newspaper. Breathe in Paris and for just a moment imagine that you live here, and this is your life! Take some time out from the madness of the city and duck into the beautiful Place Des Vosges with a book. You will be surrounded by French families, French workers on their lunch breaks, friends and lovers takin time out from their day to enjoy this lovely square. Lie in the grass or sit under the trees on a bench, either way relax and soak up this quintessentially Parisian experience. The French truly appreciate le pique – nique, maybe more than any other people. 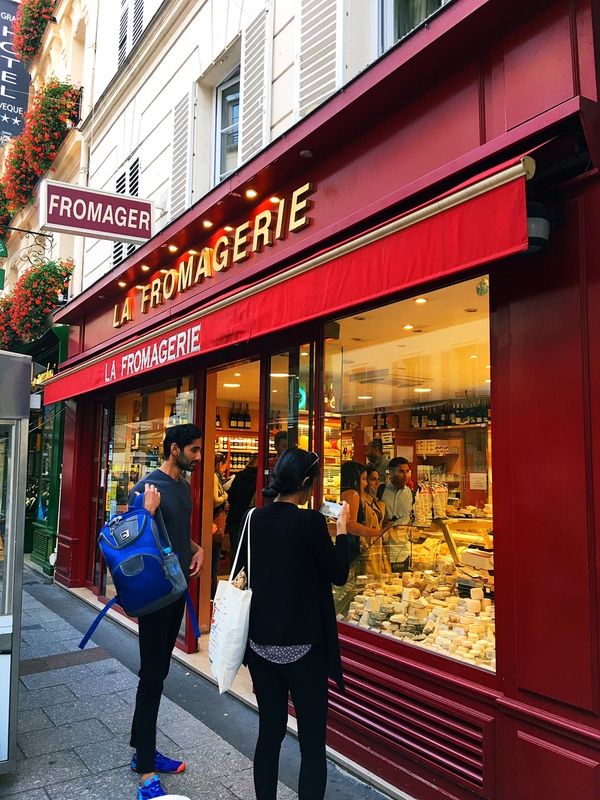 Rue Cler is a food shopping street in the beautiful 7th arrondissement, where you find bread, meats, cheeses, fruits, wines – everything you need for a dinner party or brunch, or the perfect picnic. 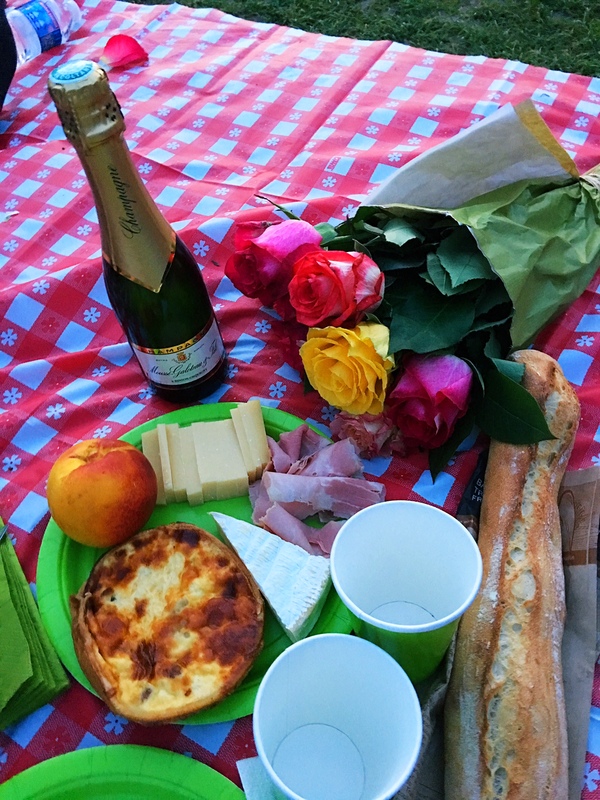 If you tell the vendors that you are shopping for a picnic they will get involved and help you pair the perfect cheeses (one hard, one soft) with your choice of cold meat. They will choose a perfect wine, the right bread, the right fruits. On my most recent picnic shopping adventure on Rue Cler in each shop I went into the sales people wanted to see what was in my shopping bag, what I had chosen so far, and then would get into big discussions about what would be the perfect choice to go with it. It was hilarious and fun and wonderful. In one store they refused to sell me a baguette because they said theirs was inferior and would ruin the picnic! They told me to buy my baguette at the boulangerie down the street where the bread was much better. I can’t even tell you how much I enjoyed the whole process! And we had the most perfect picnic ever. Now that you have bought your picnic items, head over to the Champ de Mars, a long narrow park at the foot of the Eiffel. If you plan it right you can get there and get settled in in time for the tower to light up. I always bring a table cloth and paper plates from home so that everything is lovely. 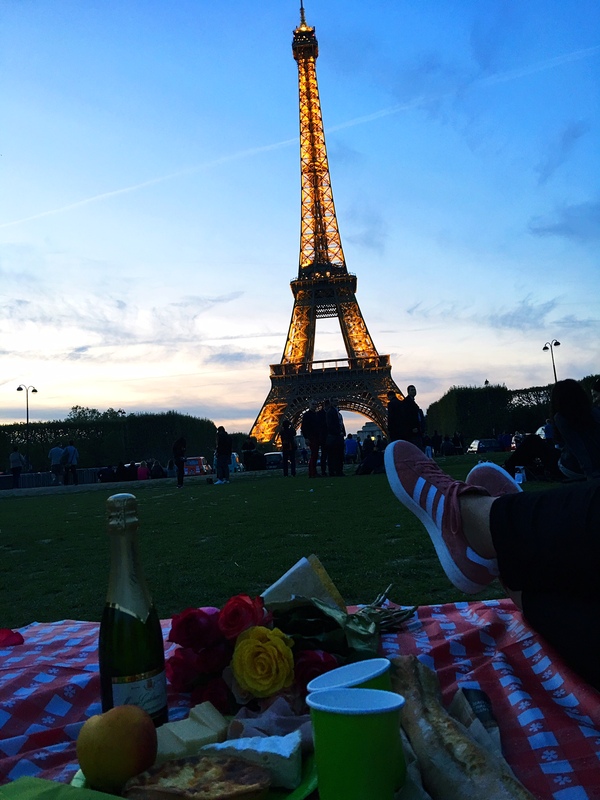 I promise you, if you take the time to shop for a picnic and find yourself stretched out in the grass under the Eiffel with a glass of champagne in your hand as the tower lights up, you will be loving life and enjoying a slice of Paris that most tourists miss. Wander The Seine At Night. 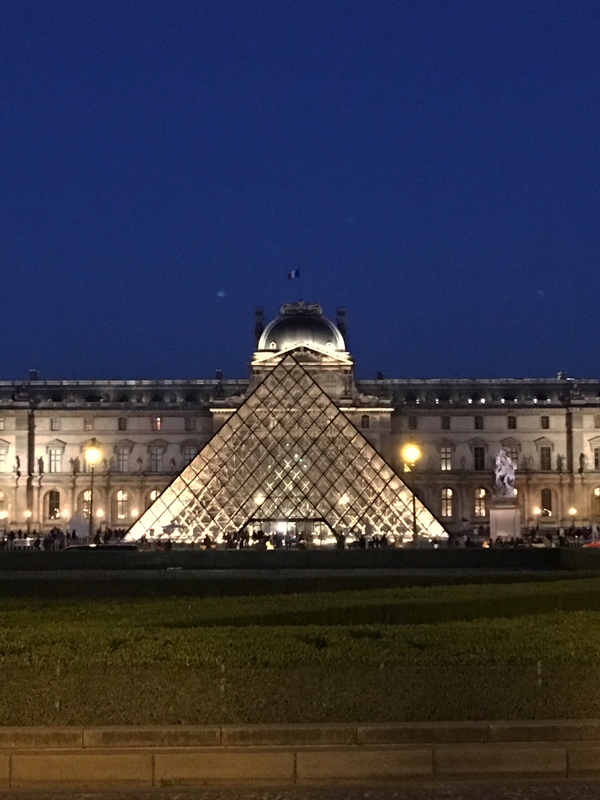 To truly appreciate the beauty of the lights that begot Paris the appellation “City of Lights” you need to actually go out and see them. 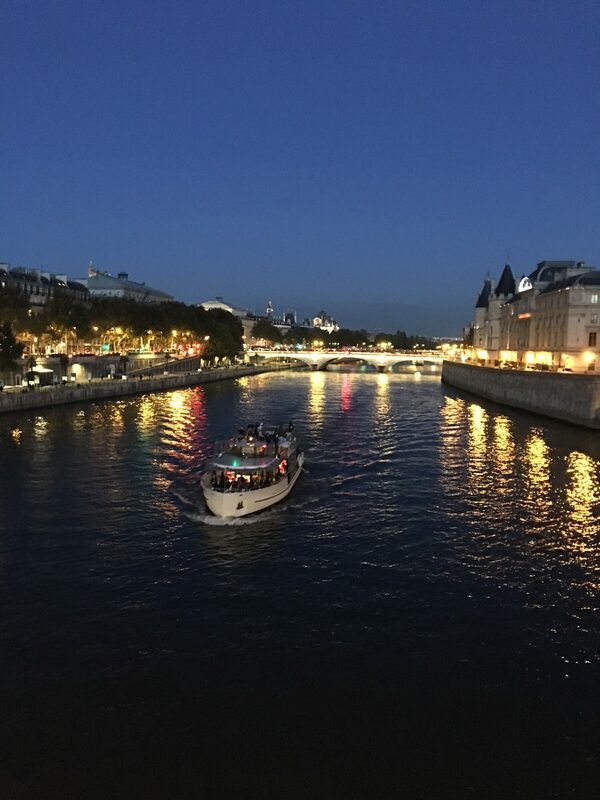 Walking along the Seine at night you will be overwhelmed at the beauty of Paris all over again. Sit on the bridges and take in the stunning views of the river lit up on either side, and the bateaux making their way through the water. Rather than taking a dinner cruise, where you are either looking at your food and your companions and missing the view, or neglecting your meal and your companions to take in the view, just walk. You will see French couples smooching under the stars or enjoying a glass of wine with their legs dangling over the river walls. Others will be walking home from dinner, arm in arm. 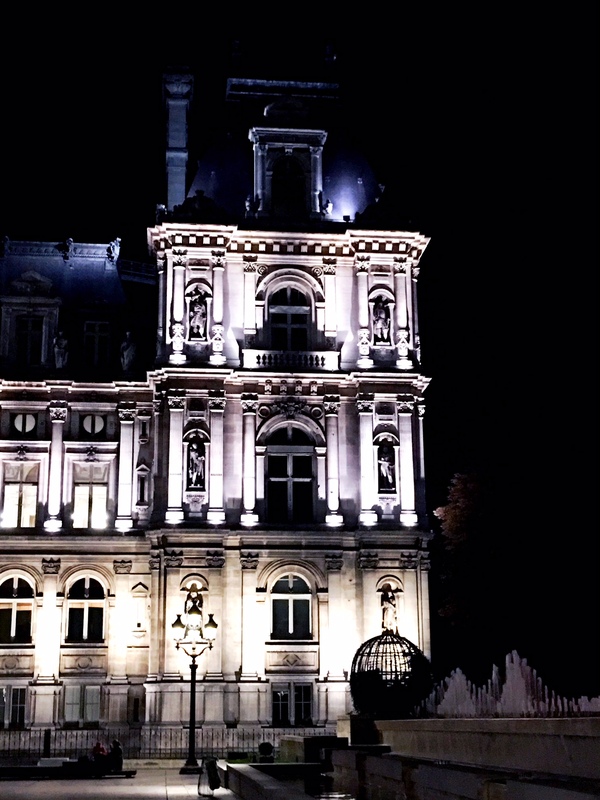 Paris is exquisite at night – make sure you go walk it, even in the rain. 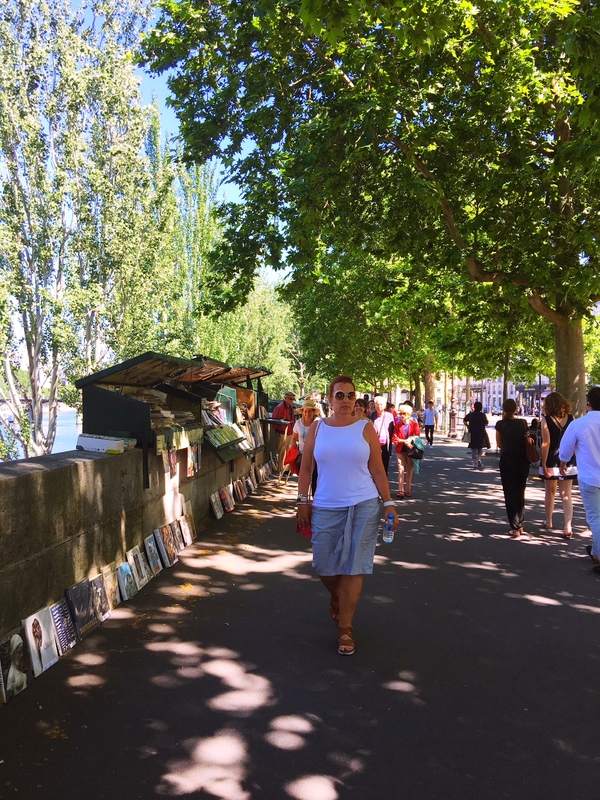 From Place de Republique at the top end of le Marais, walk a couple of city blocks to the fabulous Canal Saint Martin. This 4.5 kilometer waterway has become a super vibey, cool area, lined with shabby chic shops and cafes. It is trendy but not touristy, the people you will see are Parisians going about their daily lives. 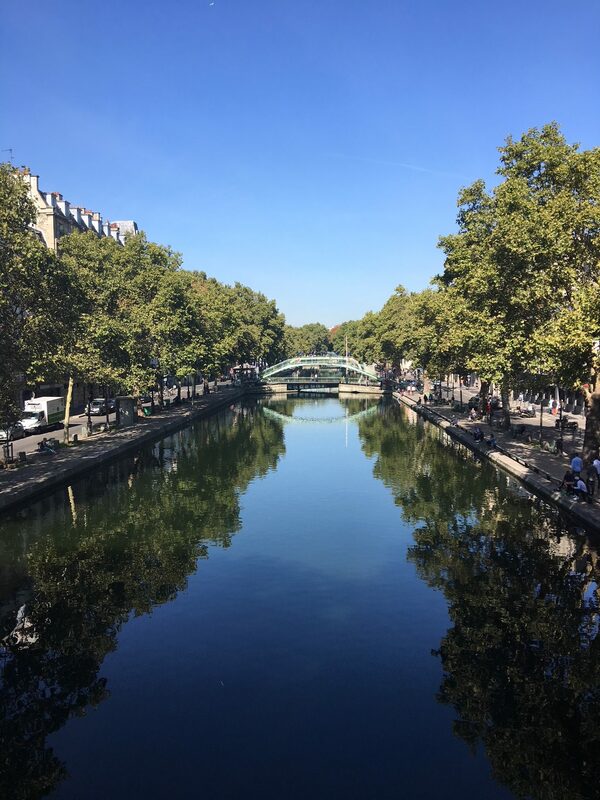 Once a working class area, Canal Saint Martin has evolved over the past 5 years into one of the coolest areas in Paris. Stop for lunch at one of the cafes, walk up and down all the little streets and be blown away by the gorgeous boutiques that you find tucked away far from the main roads. 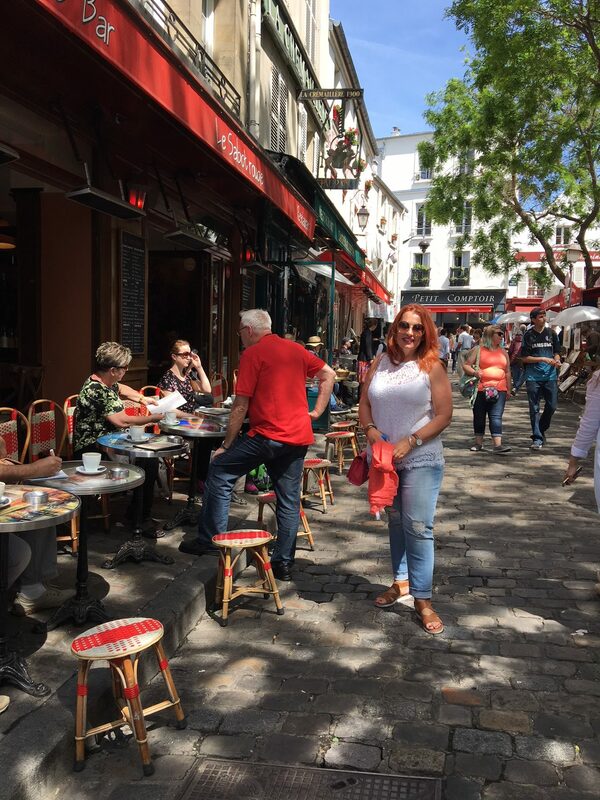 It is easy to lose yourself for an afternoon at Canal St Martin, and the experience is quintessentially Parisienne. The Marais is one of my absolute favorite parts of Paris. Wander up to Parc de Temple and you will find yourself far from the tourist crowds, in a world that is distinctly Parisian. 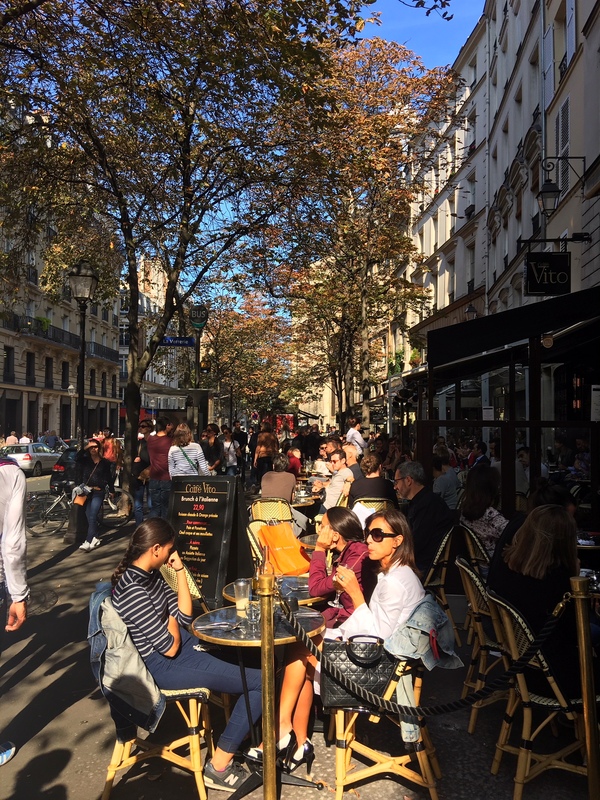 There are endless outdoor cafes and bistros, where you will sit shoulder to shoulder with locals going about their normal lives. Which, of course, is what makes it fabulous! You won’t see bottles of ketchup on the table and the menus probably won’t have any English, but the food will be amazing and the experience unforgettable. Take time to watch the locals. Parisians put their phones away and actually look at each other and talk. It’s just fantastic. I love watching the men out with their significant other (or maybe just a date). Unlike men in America the Frenchies’ eyes aren’t scouting around to see what else is out there, instead they look at and interact with the woman they are with. It is intoxicating to watch. In fact the last few times I have been to Paris both alone and with friends and my tour groups I have made it a point to tell them to watch. It doesn’t seem to matter where in Paris we are, the story is beautifully the same. The Paris Metro is super easy to use and is super efficient. For next to no cost at all you can open up the entire city to yourself and buzz around everywhere. 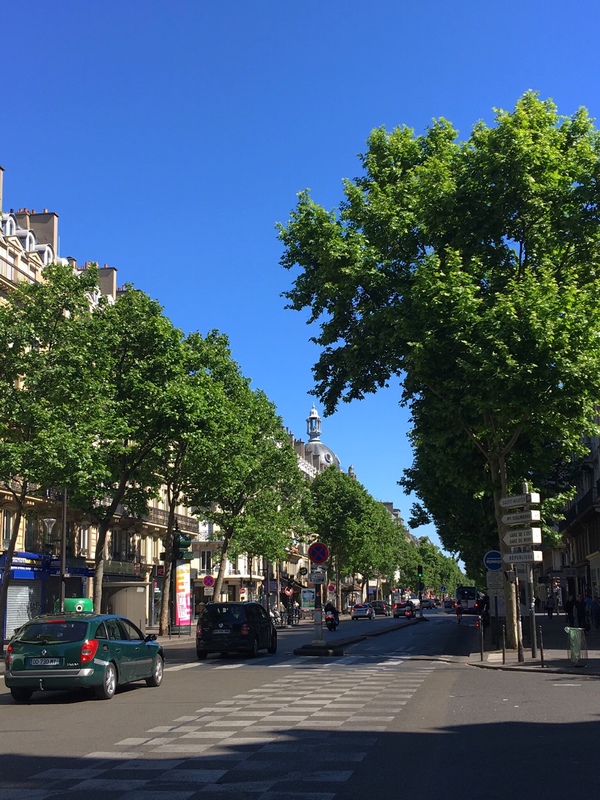 Choose an outlying/higher numbered arrondissement on the map, jump on the metro and go explore! Paris is full of endless fantastic places to stumble upon. Earlier this year I accidentally discovered the 20th, I recently visited friends who live in the 10th, a few years back I went to visit a pro makeup store in the 15th. Every time I find myself in a new part of Paris, a city I have been to too many times to count, I am awestruck all over again. Paris is like an onion with never ending layers to peel back. The more you explore, the more you will fall in love with this city, and I truly believe the best of Paris lies far from the tourist areas. 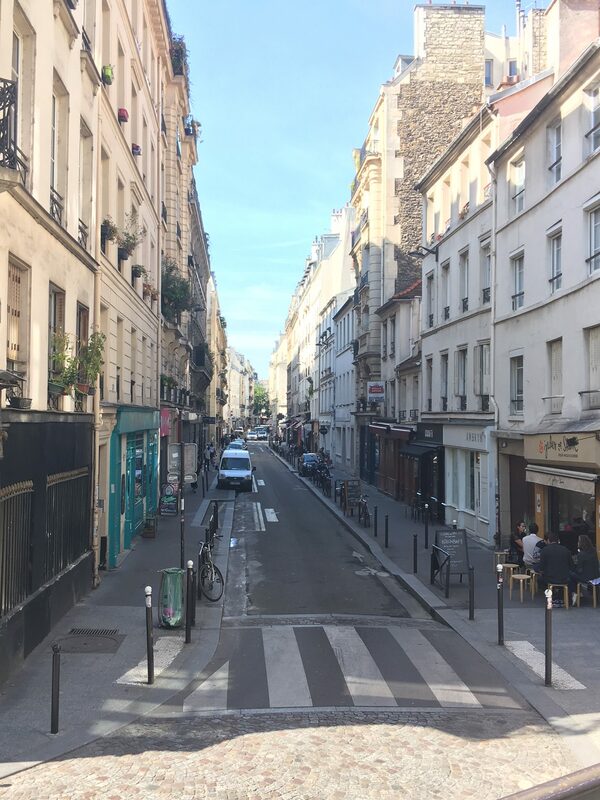 As you explore the different arrondissements you will find little shopping streets, courtyards and squares, delicious little pieces of history that the masses will never venture out to find. You are not likely to be disappointed if you venture away from the main tourist spots! If the Metro feels too daunting take advantage of Uber. Uber is quite inexpensive in Paris and there are drivers everywhere. Perhaps the most famous flea market in Paris is Les Puces de Saint Ouen, know to everyone as Les Puces (the fleas). Les Puces is the largest antique market in the world and gets up to 180,000 people coming to browse per weekend. 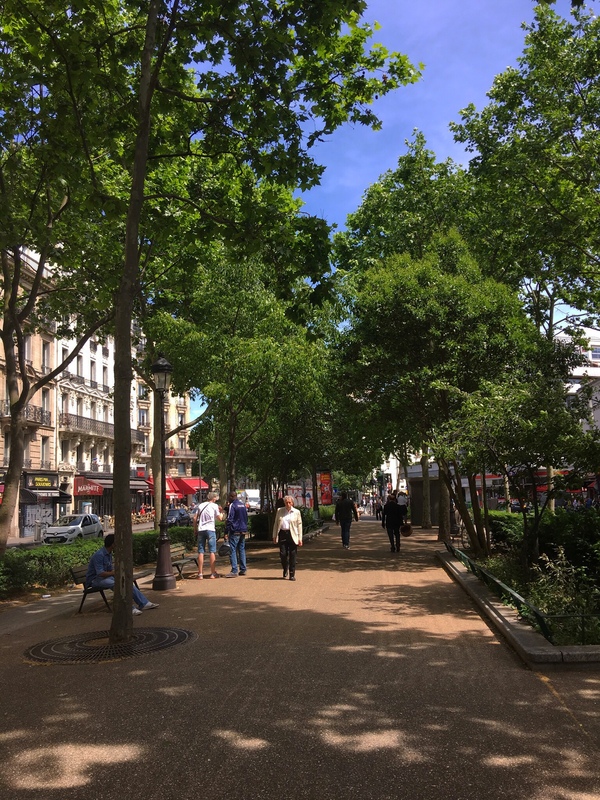 Easy to find, Les Puces is situated in one of the poorer parts of the 18th arrondissement, metro stop Porte de Clignancourt on Line 4. Hilariously this is Fox News’ “no go zone” where they say police won’t go, but it’s actually a bustling market town! The market is open on Saturdays and Sundays as well as Monday mornings. The best time to go is on a weekend morning. Have a coffee, watch everyone arrive and wander around. Chances are you won’t be shopping for antiques to ship home but you can find really cool souvenirs. A fantastic, low cost souvenir is the antique postcard. They average at 1 euro each and make for wonderful keepsakes. As with any crowded place you need to hang on to your handbag and beware of pickpockets. The markets are huge so you may want to download a map of the markets before you go. So many amazing movies have been made and set in Paris. Rather than burn hours waiting in lines to see the main tourist sites, make a list of places from your favorite movies and go on a movie tour. Paris is an easy city to find your way around, the metro and Uber making everything accessible to you. I guarantee you you will have far more fun exploring the streets where your favorite movies happened than waiting hours to go up the Eiffel! To get you started you could go to the pyramid at the Louvre from The da Vinci Code, Montmartre and Canal Saint Martin from Amelie, and if you want to find the steps where Hemingway picks up Owen Wilson in Midnight in Paris, head past the Pantheon up Rue de la Montaigne to the church of St Genevieve, and walk around the back. Maybe Hemingway will come find you too! I love to seek out beauty in everything, I love to paint faces, and I love to travel anywhere and everywhere. I write about the things I love. This is my world - come join me! Why You Need To Know About Direct Flights To Bologna! 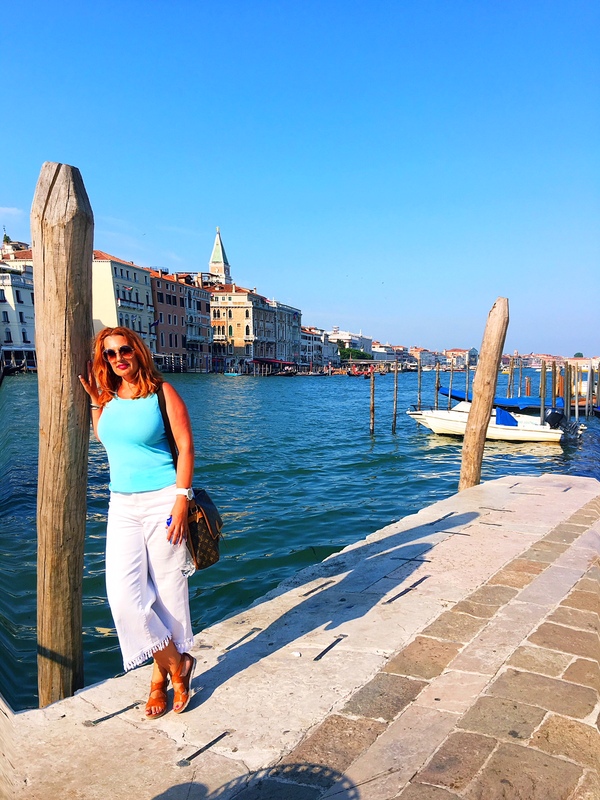 Join The Corinna B's World Newsletter! 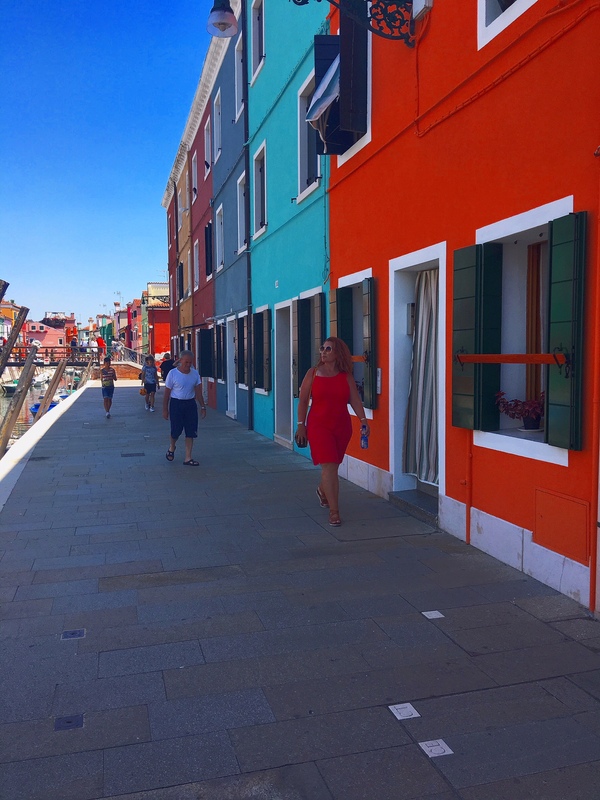 Join this private group to get special information about travel in Italy that doesn't get posted on the blog. Private Group members receive newsletters telling them the secret stuff, from the restaurants I love to my favorite secret towns in Italy and much more! My new book How To Travel Italy comes out this summer! Sign up here to get updates and pre-launch details!